Gobble! Gobble! Tis the season for the turkey. There are many ways to enjoy a juicy, succulent turkey for Thanksgiving and many ways to enjoy the leftovers, too. From roasting to smoking, here are 5 favorite turkey recipes from dietitians (including leftovers). 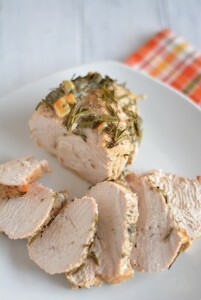 Roasted Turkey Breast by Nourished Simply (photo by Nourished Simply). Get ready for a classic recipe for roasted turkey that you can do any day of the year. Marinating the turkey beforehand will help give flavor and moisture while you cook it. Enjoy your turkey feast. 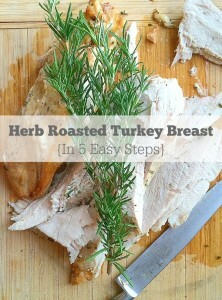 Herb Roasted Turkey Breast in 5 Easy Steps + 10 Delicious Leftover Turkey Recipes by The Spicy RD (photo by The Spicy RD). This recipe is fool-proof and your turkey will be moist, flavorful, and tasty. The Spicy RD also provides 10 extra recipes for leftovers. What’s not to love about that – unless there are no leftovers. Break out the Smoker! 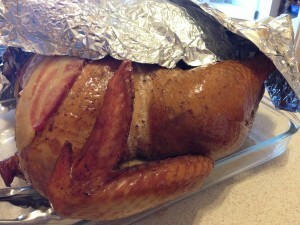 With Smoked Turkey by Just Wendy Jo (photo by Just Wendy Jo). From brines, marinades, and wood chips, Just Wendy Jo knows how to smoke a mouthwatering turkey that will fall from the bone and cause ecstatic sensations with your taste buds. Leftover turkey? Say no more…here are some recipes for you. 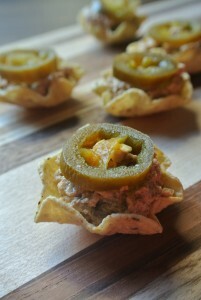 Try these Jalapeno Poppers by the No Nonsense Nutritionist (photo by the No Nonsense Nutritionist). I substituted regular shredded turkey for the recipe. You can also ground your own turkey if you want to follow the recipe exactly. The poppers are delicious, easy, and perfect for a Sunday afternoon football fest. 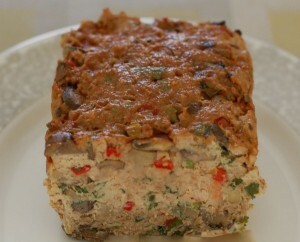 Or enjoy Asian-Style Turkey Meatloaf from Nutritioulicious (photo by Nutritioulicious). You’ll have to ground the turkey to make this meatloaf and it is worth it! The meatloaf is loaded with vegetables, herbs, and spices. Topped with a sweet and spicy glaze (hello sriracha!) that’s definitely a game changer when it comes to the standard meatloaf. Have a wonderful Thanksgiving with family, friends, and loved ones. I’m starting to crave Thanksgiving day turkey!! Thanks for including my turkey meatloaf – it’s a fun spin on a classic! Oh wow, delicious turkey all around! Only problem will be choosing where to start, because they all look scrumptious! Cheers and thanks for sharing the YUM! Anytime. I think we’re going to have thanksgiving dinner once a week for the next month so we can try all the recipes! 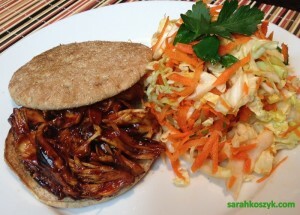 The pulled turkey sandwich with cole slaw looks delicious. Perhaps we can try it this Thansgiving. I’m down for that! Yes! Count me in.